Embarcadero del Hornillo Click for the full history of Águilas The British railway company " British Great South Eastern Spain Railway Company" constructed a railway line between "Lorca- Almendricos- Águilas" between 1887 and 1896 in order to transport minerals, principally, iron, from the Sierra de los Filambres in Granada to the coast. 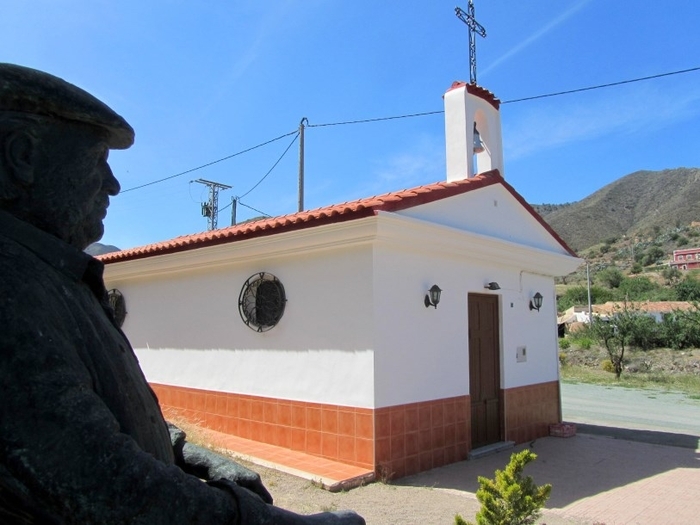 In 1901 work began to construct a purpose built loading dock in order to facilitate..
El Ícaro is the work of sculptor González Beltrán This monument can be viewed on the seafront close to the fishing port of Águilas and is the work of Murcia sculptor González Beltrán. The statue is a homage to the most important fiesta in Águilas, its spring Carnival, which was awarded the status of “International Tourist attraction” in 2015 and continues to draw thousands of visitors every year. 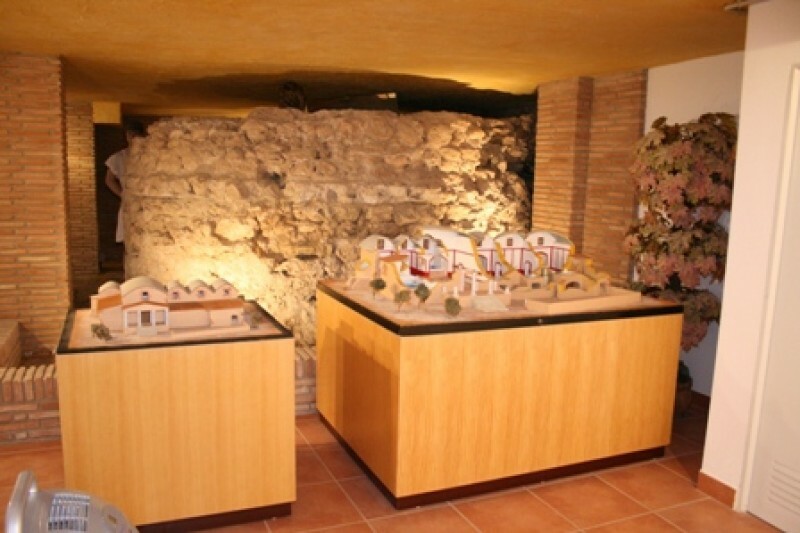 Click for full information about..
A small museum shows the remains of one of two Roman baths complexes in Águilas The Roman baths or “Termas Occidentales” in Águilas date from the 1st century AD, and were first excavated in the late 18th century by Manuel Robles Vives, the abbot at the Collegiate Church of San Patricio in Lorca. The underground remains of the “caldarium” (warm bath room) can be visited, along with a small exhibition alongside. A second Roman bath.. 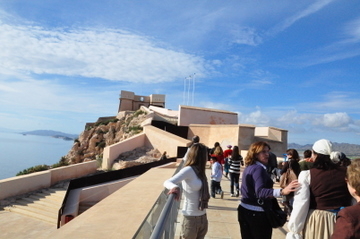 The Castle and Sagrera Windmill both offer stunning views, families enjoy the CIMAR Aquarium and the Railway, Hornillo and Archaeological museums all offer an interesting journey into the past The municipality of Águilas offers a number of interesting and enjoyable options for a longer visit or an enjoyable day trip, and alongside its offering of extensive beaches and natural areas, includes a number of static museums and information centres..
Four beaches and a fascinating array of flora and fauna on a short coastal walk in Águilas Details of the SL-MU 18 Cuatro Calas walk Start and finish: Playa de Calarreona Distance: 4 kilometres including detours, 2.8 km without detours Duration: 60 minutes for the circular route, 90 minutes including detours Total ascent and descent: 130 metres The SL-MU 18 “Cuatro Calas” footpath follows a route which is entirely within.. 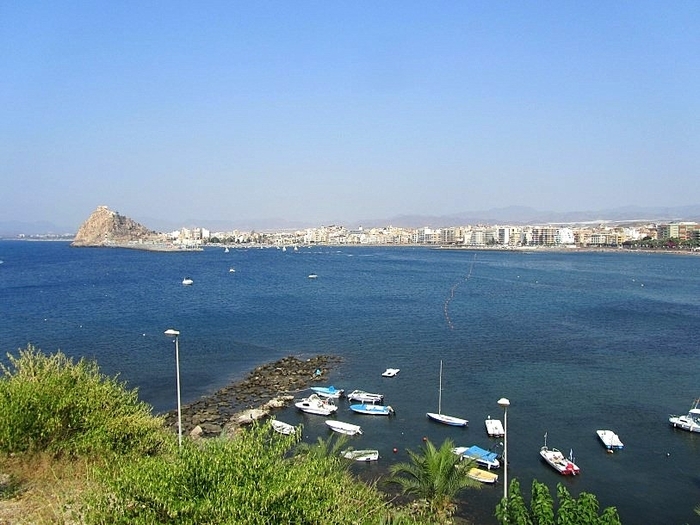 Attractive views over the Bahía de Levante in Águilas The path up to the Pico del Águila rock at the eastern end of the Bahía de Levante in Águilas is the logical end to a walk along the seafront, and provides attractive views back over the town centre, the castle and the beaches of this area. The spot takes its name from the rock formation in which many people see a similarity to the beak of an eagle, although as far as we know.. The restored windmill in Águilas is part of a tour through the old fishermen’s quarter The Molino Sagrera is a restored windmill in the heart of the old town of Águilas, serving not only as a reminder of the past, when such buildings were common in this area, but also as an interesting stop-off point on a walk around the narrow hillside streets of this part of the town. 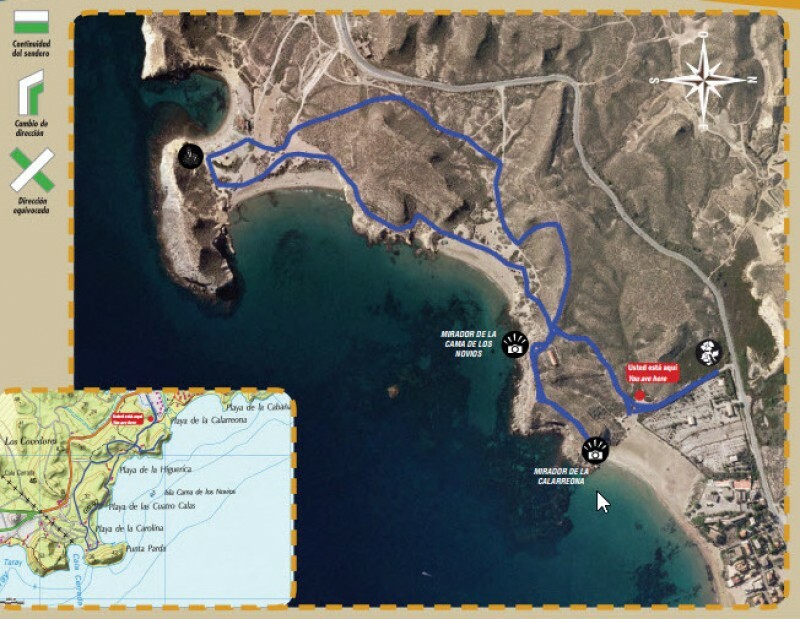 In fact, it is on one of the routes recommended by the Águilas tourist.. 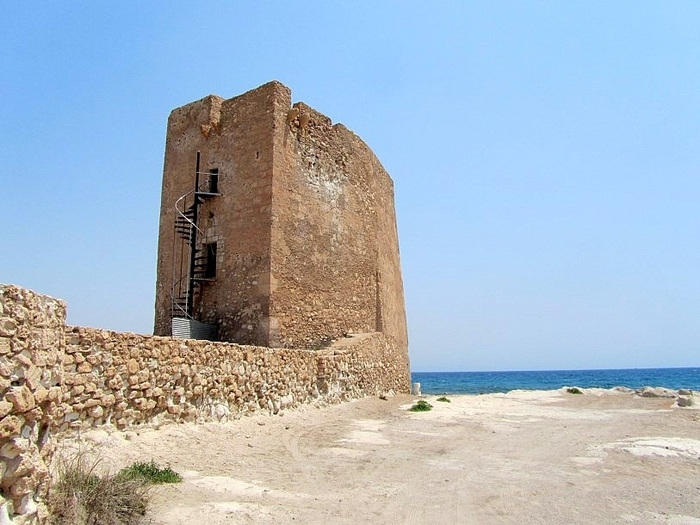 The Ermita de Cope was used by shepherds and fishermen in past centuries One of the most curious places to visit in Águilas is the Ermita de Cope, a tiny chapel which lies mostly in ruins close to the 16th century watchtower of the Torre de Cope. 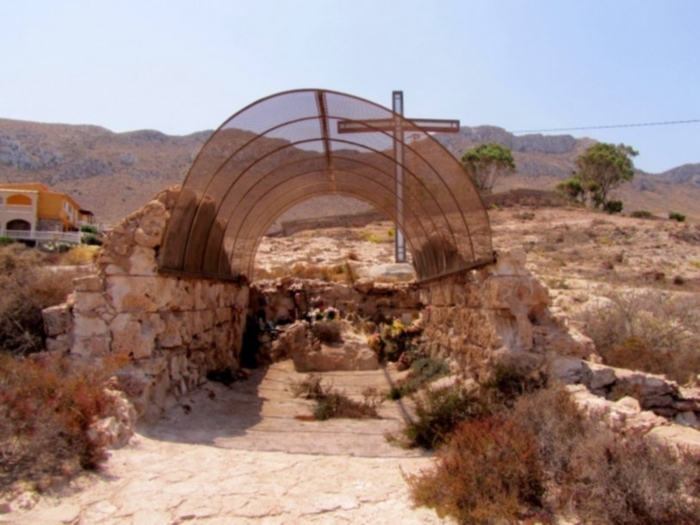 The evidence available suggests that the chapel existed as long ago as the 16th century, when the watchtower was built, and it was most likely used by the shepherds and fishermen who supplied.. The Torre de Cope was used until the 19th century to defend the Águilas coast The Torre de Cope is a 16th-century watchtower on the low ground beneath the headland of Cabo Cope in the east of the municipality of Águilas, and was originally one of those built in order to provide advance warning to local inhabitants of imminent raids by the Berbers who lived in the northern coastal regions of Africa. The raiders from Africa were largely..
A free entry museum to the sea and a great place to take the kids The CIMAR (Centro de Interpretación del Mar) centre in Águilas was opened in the spring of 2014 as part of a campaign to promote the attractions of the town through its historical and current links with the sea and with fishing, and proved an instant success with both locals and visitors to the Costa Cálida. It is a welcome addition to the list of potential visits and activities..
A short climb for panoramic views over the landscape of Águilas Just a ten-minute drive from the town of Águilas, in the heart of the crop fields which lie in the east of the municipality behind Cabo Cope, is the rural community of El Garrobillo, which consists mainly of farmland and is home to very few people. 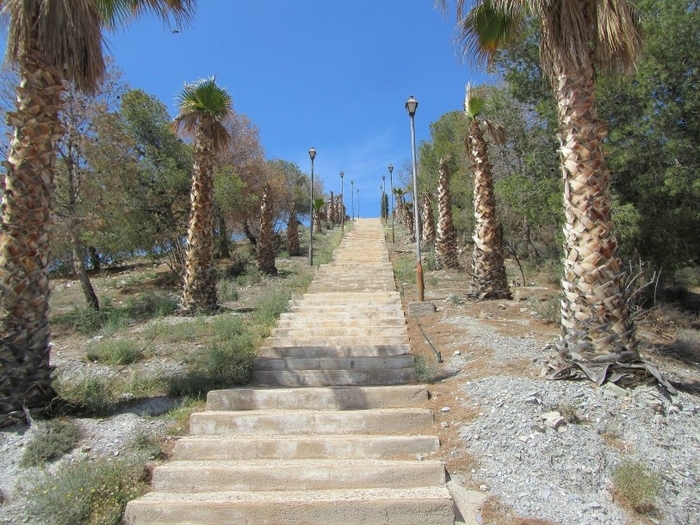 Much of the area known as Garrobillo actually lies in the municipality of Lorca, but the church and the unusual steps climbing up.. 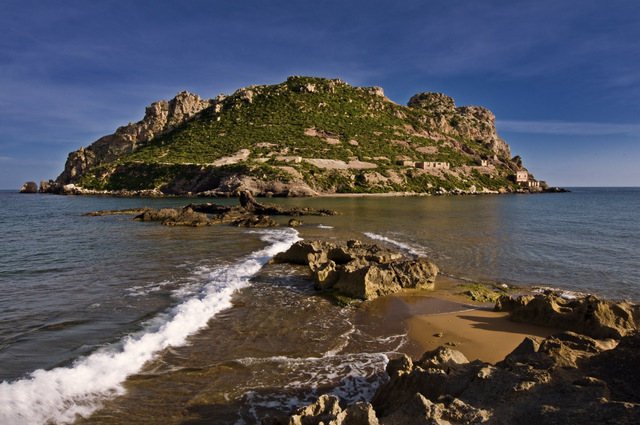 This rocky island was a Roman production point for Garum fish sauce One of the most characteristic views of Águilas is out across the bay of “El Hornillo”, to the Isla del Fraile, a small rocky island covering a total area of 6.3 hectares, which lies just off the eastern coastline of the main urban town. The island can only be reached by swimming or the use of a small boat, although great care should be exercised if attempting to..
A pleasant trip out to the mountains behind Calabardina Cuesta de Gos is a tiny hamlet in the foothills of the mountains behind Águilas and Calabardina, and consists of no more than a scattering of around a dozen houses. The inhabitants of the village used to struggle to make their living from the few crops which could be grown in the arid countryside before irrigation was viable, but nowadays the houses belong mostly to a few families who..
A very visible reminder of the industrial past of Águilas When the town of Águilas grew in importance in the early nineteenth century it was principally as a result of the mining activity further inland, when rich deposits of iron, lead, silver and other substances were extracted from the hillsides of Almería and Lorca. In 1838 a seam of silver was discovered in the hills of the Sierra de la Almagrera, and soon the silver mines were.. 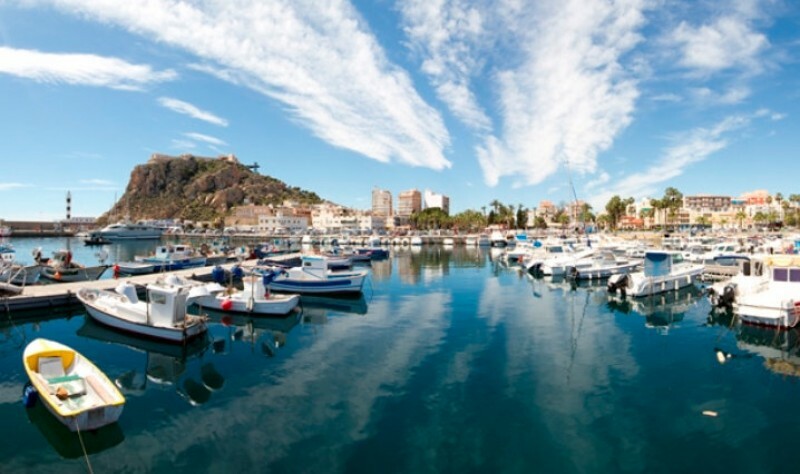 The current fishing port of Águilas dates back to 1884 The port of Águilas is home to one of the largest fishing fleets in the Region of Murcia, and has been open in more or less its present form since 1884, when it was one of the sparks which led to the resurgence of trade in the town. 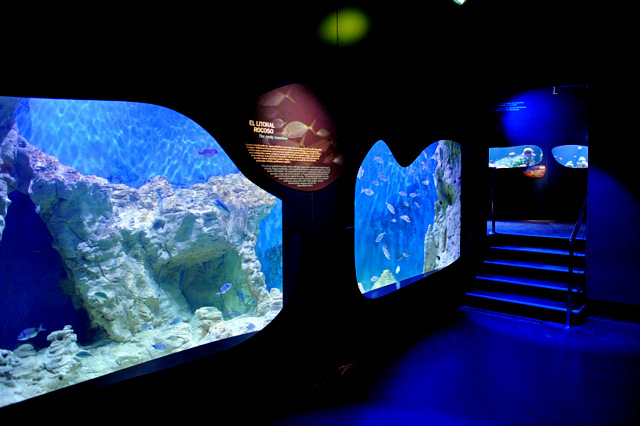 In addition, since June 2016 it has been home to a permanent exhibition illustrating the history of fishing in Águilas, a sector which for long.. 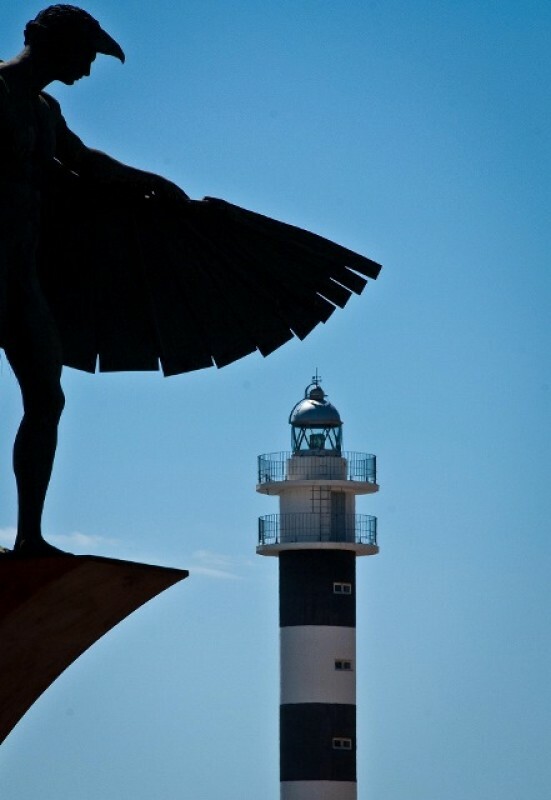 The current lighthouse was built in 1973 to replace one dating from 1860 The lighthouse of Punta Negra stands on the slope at the foot of the hill which is home to the Castle of San Juan in Águilas, and the tower of 23 metres gives it an altitude of 30.9 metres above sea level. It has been in operation since 1973, with its signal of two white lights every five seconds visible from a distance of 13 nautical miles. 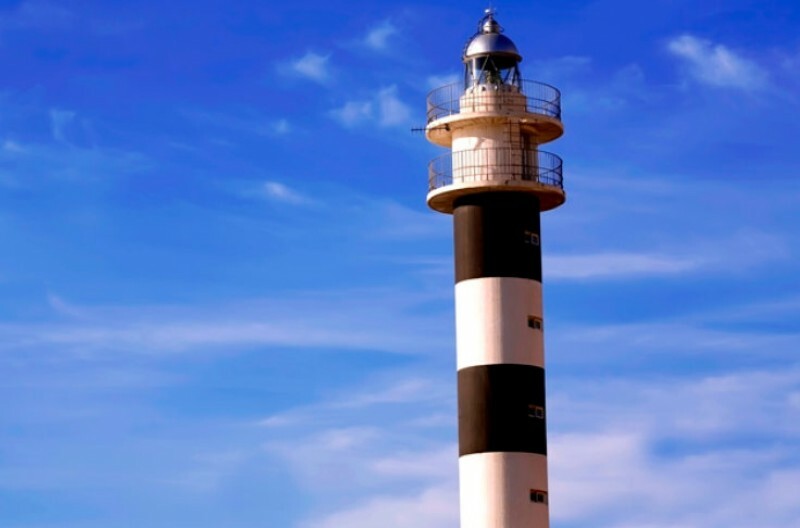 A previous lighthouse.. 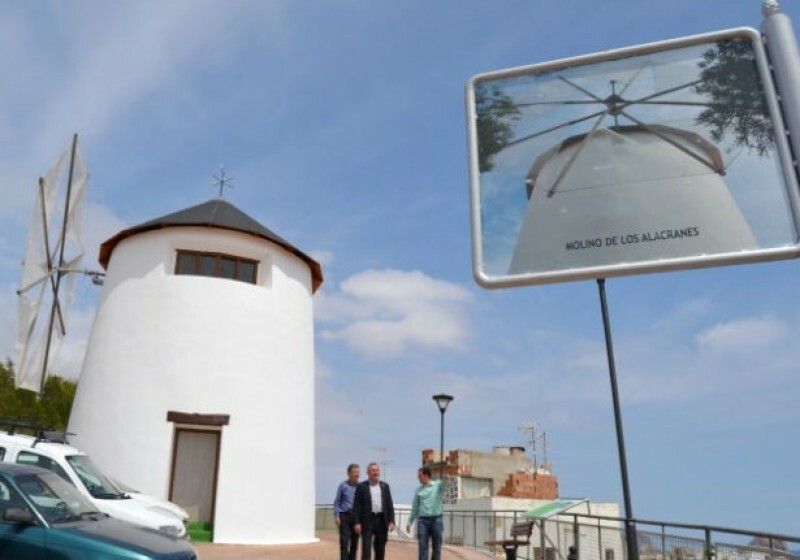 The mill dates back to the 1870s and was restored in 2013 The Molino de los Alacranes is one of two old windmills in the town of Águilas which have been restored and endowed with viewing points in recent years (the other being the Molino de Sagrera), after restoration including the replacement of the sail and the creation of easier access was completed in 2013. 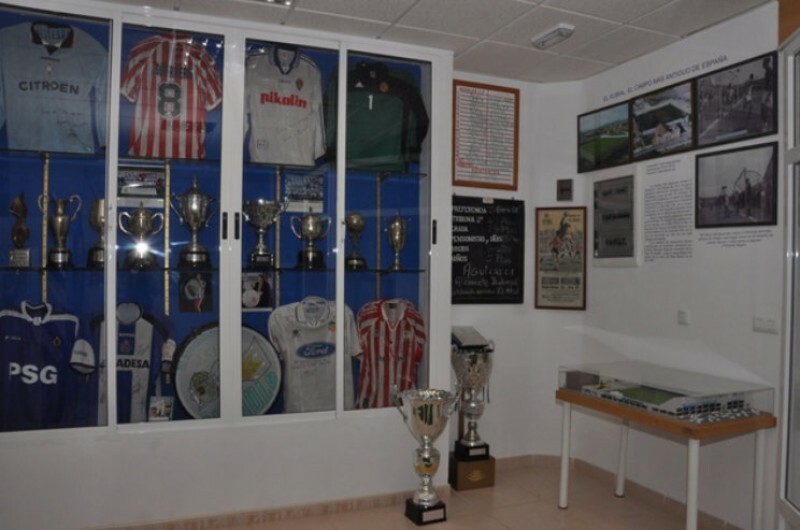 The licence for the construction of the building was granted on 27th July..
Águilas Sporting Club was one of the first in Spain and dominated the sport in Murcia for 20 years The town of Águilas is not immediately associated with footballing success, but in fact it has one of the oldest traditions in the whole of Spain in the sport, the first club having been founded here by members of the British mining and railway construction community in the 1890s. It was 1896 when Sporting Club Aguileño (or Águilas Sporting..
Águilas Castle The Castillo de San Juan in Águilas is high above the town, originally erected as a 16th century defensive fortress to protect against pirate attack and is well worth a visit, offering impressive views across the surrounding countryside and the town below. The castle can be visited as an attraction on its own or can form part of a morning out visiting the town. 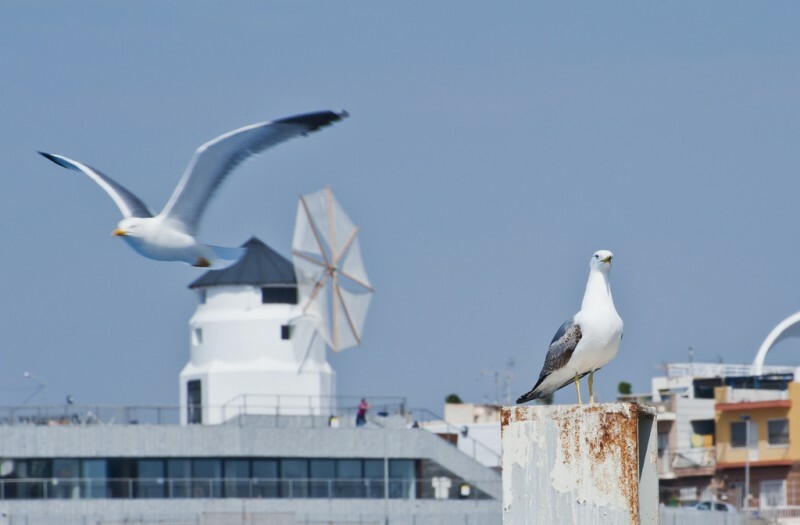 The Tourist Office offers a free monthly guided visit of the town.. 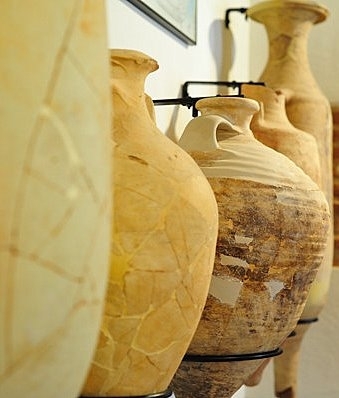 The Águilas Archaeological Museum The Museo Arqueológico de Águilas contains a collection of artefacts relating to the history of the municipality, with representative displays relating to each of the important phases and cultures which settled in this coastal location. Click to read the History of Águilas Prehistory Águilas has been inhabited for approximately 5000 years, with several sites showing prehistoric settlements, amongst..
An interesting trip into the railway heritage of Águilas RUTA DEL FERROCARRIL Águilas is located in the south-east Mediterranean coastline of Spain, with a 28-kilometre shoreline lined with sandy beaches and wild, rocky coves. 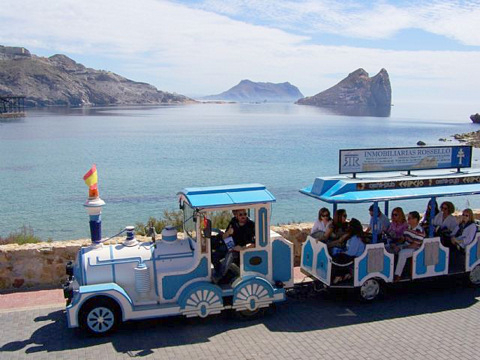 But although the town is best known for its summer beaches, Águilas has a fascinating history, with traces of the Romans and Phoenicians, through to its modern history, with important remnants from its role as a railway..
El Museo del Ferrocarril, Águilas The Railway Museum was opened in 1985 by the “El Labradorcico” railway enthusiasts club in Águilas, and is housed on the lower floor of the Railway station in the town itself. 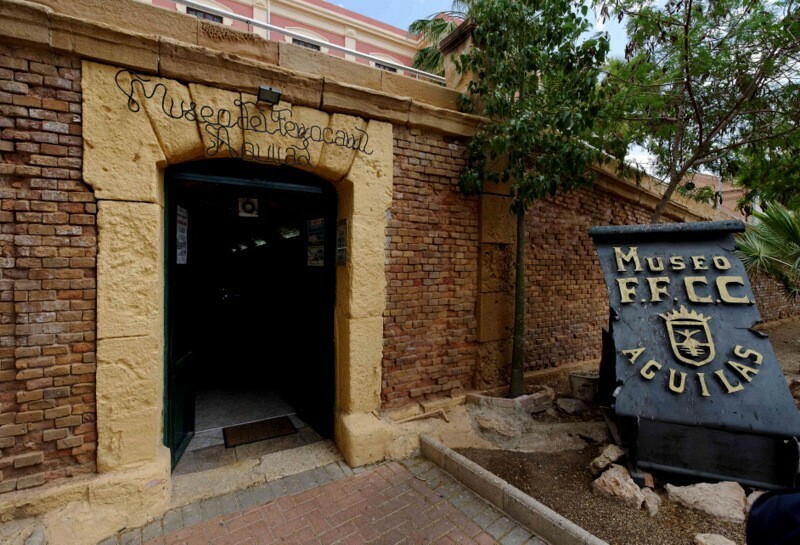 The premises was formerly occupied at the end of the 19th century by “The Great Southern Spain Railway Company”, who used them as an archive and maintained their vast strongbox here, the reinforced iron door which protected.. 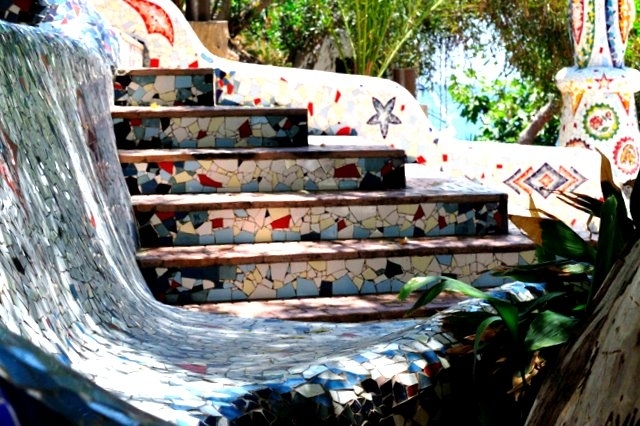 The Plaza de España in Águilas is a community focal point and a great place to enjoy a coffee. The Plaza de España in Águilas is one of the most important open spaces in the town and is a focal point for many of the events and celebrations which take place in the town throughout the year, as well as being a lovely place to enjoy a cup of coffee in the open air. 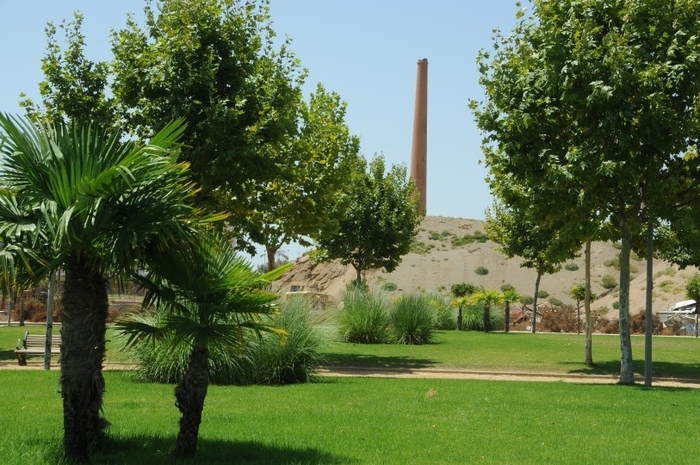 The central area of the Plaza is occupied by greenery, paths and fountains.. The Casino in Águilas Águilas Casino was built between 1894 and 1895, and is one of the few remaining examples of historical Casinos in the Region of Murcia. Casinos were, essentially, private clubs, built so that the bourgeoise society of the area had a location for dances, recitals and social meetings. Members of the association which used the Casino, mainly came from families who owned the mining exploitations in the Lorca area, although..
One of the most beautiful places in Águilas to enjoy a summer drink Rincon del Hornillo, Águilas This little corner of Águilas is inspirational to gardeners with gardens of all sizes, right through from those with just a little patio to maintain, to those looking at vast expanses of uncultivated wasteland and wondering what to do with them. 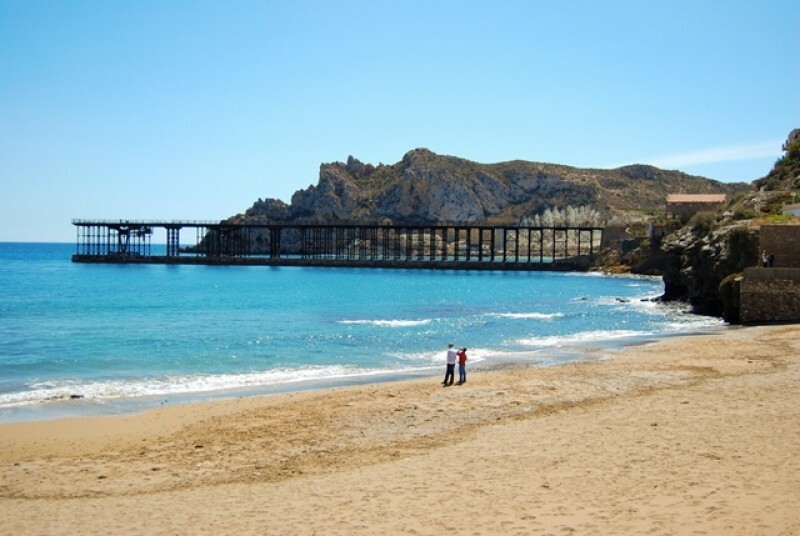 The Rincon del Hornillo sits in a corner near the CIMAR centre, behind the El Hornillo beach in..
What to do - Aguilas. A morning in Aguilas. Itinerary Pick up map from tourist office Visit to the Casino Coffee in the Plaza de Espana, and maybe a naughty cake.....Visit to the Archaeological museum Visit to the Castillo de San Juan Photo opportunity by the Monumento al Ferrocarril Lunch There is plenty of parking around the Plaza de España and in the surrounding streets, or down along the seafront, particularly in winter. The..